If you put a lot of time into looking after your garden, having your neighbors’ dogs using your lawn as their pooping area can be a real bone of contention. We’ve all heard the stories of times when emotions run high and events get out of hand – sometimes with serious consequences. However, there’s no need to let things spiral out of control, even if your neighbors seem reluctant to keep their animals under control. There’s plenty you can do to protect your prized lawn without going to extremes – here we will give you several useful answers to the question of how to keep dogs from pooping on your lawn. If you want some tips about how to clean up when it does happen, check out this video for some ideas! The simplest and most instantly effective solution is to erect a barrier that will prevent local dogs from accessing your land. Your first option is to put up a fence around your garden. While some fences may be a little pricey, you can also find some more inexpensive options. Once in place, unless the dogs are particularly determined to find a way in, this will resolve the issue immediately. Perhaps the biggest downside is that not everybody will be happy with having to build a fence around their property. You might not like the aesthetics, or it may make you feel like you’re under siege from the dogs. If this is the case, you might prefer to try something else. Another option is to put up a living barrier in the form of a hedge or a line of dog-proof plants or shrubs. Such an option does not create such an impenetrable barrier as a fence, but it will perhaps be enough to deter the dogs from using your yard as their go-to bathroom. You could also try to build a barrier on the ground by laying a line of something that dogs don’t like walking on. A ring of sharp gravel may be enough to keep local canines at bay since it will hurt the pads of their feet to walk on it and they will prefer to stay off. If you prefer not to fence or barricade yourself into your own home, another choice might be to train dogs to avoid your lawn by using a sprinkler. Sprinklers exist that are activated by movement in a similar way to a motion detecting lights. After a few soakings, dogs will soon learn that your lawn is somewhere to be avoided and will seek out another place to do their doggy business. 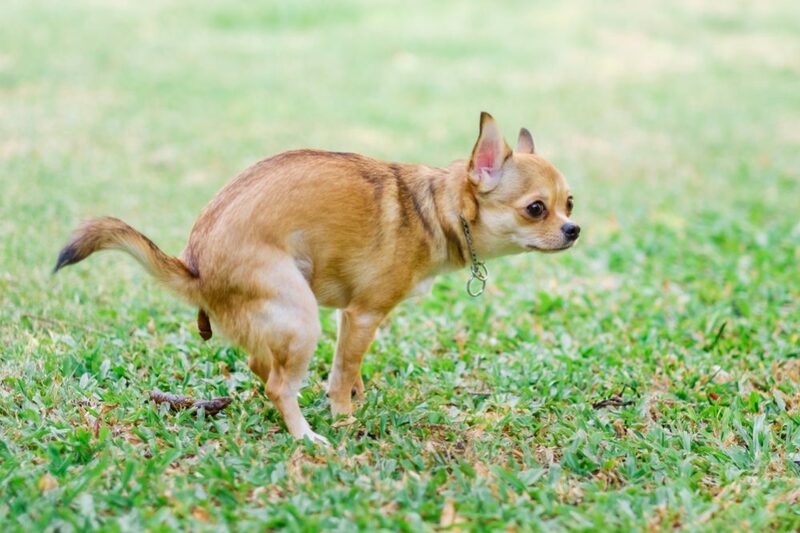 If you have a dog of your own or you don’t mind other dogs coming into your garden, you might prefer a solution that will simply keep the dogs from using your lawn as a toilet. In this case, you can try to train your dog or other local dogs to use a certain designated area rather than just going right in the middle of your finely manicured lawn. Create an area for dogs to use, perhaps an area with sand, and encourage the dogs to go there instead. If it’s your own dog, it will simply be a case of training it the same as housetraining a puppy. Also, make sure you remove any dog feces you find on your lawn or in any other areas you don’t want the dogs to use since if other dogs see this, they will assume these are acceptable places to go. Everybody knows that dogs have an incredibly acute sense of smell, and this can be used to deter them from using your lawn to answer the call of nature. Dogs are sensitive to new smells. If an area smells familiar, they will feel comfortable returning there over and over again to do their thing. On the other hand, if an area smells new and strange to them, they will be more wary of entering. To use this against them, you can try a simple trick like changing the fertilizer you use. If they don’t like the unfamiliar odor, they will give your yard a miss. An important point to note is that some scents will attract them rather than repel them. You may be using a commercial scent to repel rabbits, deer, skunks or racoons, but these often contain coyote urine – something that will draw in all the dogs in your neighborhood. Also, if you do find any poop on your lawn, don’t be tempted to throw it in your composter or compost tumbler. It will continue to smell bad and may spread harmful bacteria. There are several DIY dog repellents you can try, although success with these is variable. Recipes for homemade dog repellents include garlic, olive oil or almond oil. 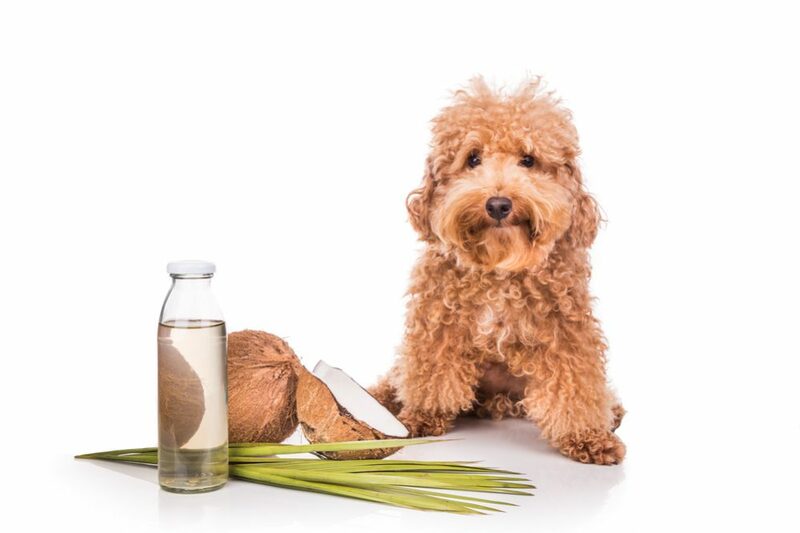 Something that is generally very effective is vinegar – dogs seem to hate the pungent, acrid smell of vinegar, and its application in a few strategic locations may do the job. Another popular – although sometimes controversial – option is cayenne pepper or strong chili powder. Dogs who come sniffing around anywhere you have spread cayenne pepper will certainly think twice about returning. However, cayenne pepper can cause serious irritation to a dog’s nose, and many people would argue that this method is not particularly humane. As we all know, dogs are highly trainable creatures, and with many of the techniques we have suggested, the key is training. For example, with the sprinkler method, once a dog understands he is going to get a drenching in a particular yard, he will stop visiting that yard, regardless of whether the sprinkler is still in place. The same is true for the “poo zone” or even cayenne pepper methods. Your focus should be on teaching a dog not to use your lawn as a toilet, and once the lesson is learned, you won’t need to keep reinforcing the lesson forever. For this reason, the trainability of dogs is your primary tool for deterring them from doing their business on your beautiful lawn. Perhaps the most important thing in a situation when a neighbor’s pet is regularly causing a mess is not to let things get out of hand. The best option may be to speak to your neighbor to see if you can work together to solve the problem. After all, a diplomatic solution is far better than allowing tensions to escalate and relations to deteriorate beyond repair.